Extended for today only! 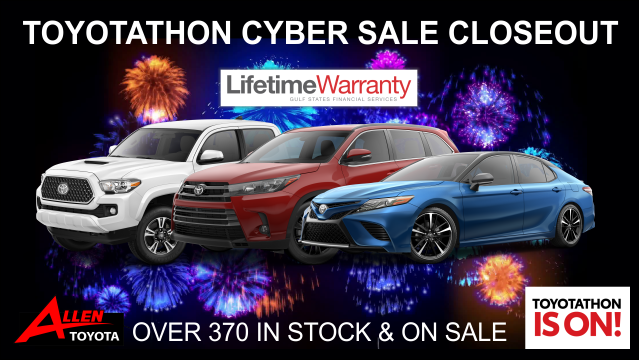 Hurry and shop our Toyotathon Cyber Sale before it is over! All prices have been marked down! Contact us or stop by today! Offer valid on Toyota vehicles only. Some exclusions apply. Offers do not combine. Not valid for previous services. See dealer for complete details. Offer Expires 04-30-2019.